According to a 1980 source, between 2,200 and 3,500 Tsum people live along the southern slopes of the Himalayan Range in central Nepal. In the 25 years since this estimate was made, it is thought that the population of the Tsum may have grown to exceed 5,000. The Tsum inhabit a number of villages in the northern Gorkha District of the Gandaki Zone, a short distance away from the China-Nepal border. The main Tsum village is called Chongong (also known as Chekampar). The Tsum are also known as the Chumba, or Shar, because they live along the banks of the Shar (Eastern) River. Official books issued by the Nepali government tend to call them by these alternate names. The closest neighbours to the Tsum are the Nubri people, who live along the upper reaches of the Buri Gandaki River just to the west. The Tsum area is just north of Ganesh Himal, which stands at 7,406 metres (24,292 ft.) above sea level. The Tsum speak a Central Tibetan language, but linguistic studies have shown that it only shares 71 per cent to 78 per cent lexical similarity with Nubri, 60 per cent to 66 per cent with Lhasa Tibetan and 66 per cent with Kyerung. Few Tsum can speak more than a few words and phrases of Nepali. 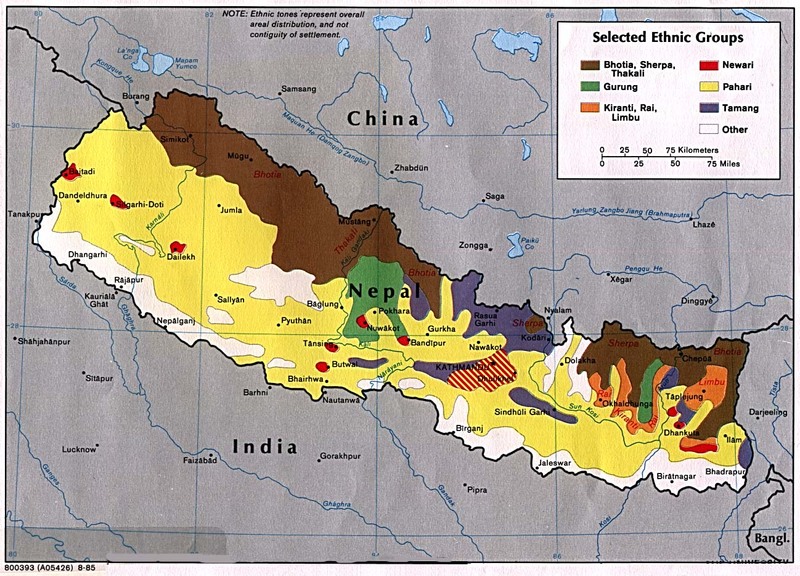 Their isolated mountain hideout has separated them from the main body of Nepali culture and language, and in most ways they are more aligned with Tibet than with Nepal. Many Tsum are traders, carrying grain and modern appliances from Nepal to Tibet, where they trade their goods for salt and wool. Very few Tsum people have ever been exposed to the gospel of Jesus Christ. Most are too busy with their daily lives to care enough to seek the truth. 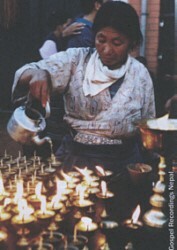 Most are content to follow Buddha, as countless generations of their ancestors have done before them. View Siyar in all countries. Location in Country: The Tsum live along the southern slopes of the Himalayan Range in central Nepal. They inhabit a number of villages in the northern Gorkha District of the Gandaki Zone. The main Tsum village is Chongong.